The Royal Victoria Yacht Club welcomes new members. Below are some frequently asked questions (FAQs) together with answers. A membership form can be downloaded here Membership form 2018-19.pdf. Do I need to know, or be nominated by an existing RVYC member to join? No you don't. Joining is all very easy, just download and fill in Membership form 2018-19.pdf, send it to us with the appropriate membership fee. Once approved we will create your membership card and send you an information pack. We will also let you know about the events at the Club and arrange for someone to meet you and introduce you to other members on your first visit. I don't know how to sail and my children would like to learn, can we join as a family? Yes you can, we have specific family membership packages and the good news is there is no limit on the number of children per family. We have a great social side at the Club when the cadets are learning to sail on their regular Friday nights. We have Adult Sailing sessions too, so if you have never sailed a boat but would like to learn, then these sessions are for you. Find out more under Adult Sailing. Do I need to be interviewed, approved by, or talk to the committee to join? Definitely not, we do not require any formal letters, presentations or interviews to join the Club. RVYC is "Open to All". Just fill in the application form Membership form 2018-19.pdf, pay the appropriate membership fees and you will become a full member of the Club. New memberships are voted by the management committee each month, but this is just a formality. What's the social side of the Club like, or is it just all about sailing? We have a great social side to the Club and we have members from many and varied professions and backgrounds. Friday nights are cadets nights and usually fairly busy in bar and restaurant. Wednesdays we have talks in the winter and Adult Sailing in the summer. We have various events throughout the year e.g. 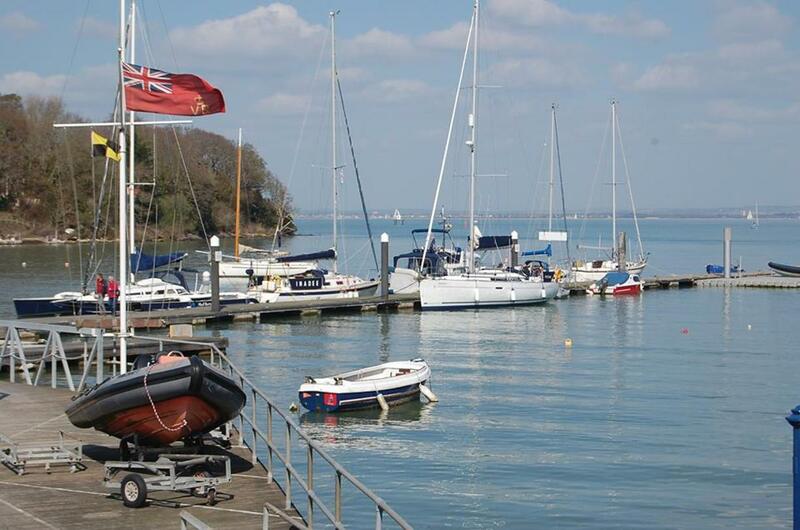 RVYC Regatta, Fitting Out and Laying Up Suppers, the Easter Duck race and many more. We don't have a boat for us or our children, is that a problem? Not at all, RVYC has its own club boats that either you or your children can hire for a nominal fee. Find out more from the list of charges. Club charges 2019-2020 10mar19.pdf (opens as a PDF). What equipment or gear will we, or our children, need to go sailing? In the summer months all you will need is your own buoyancy aid and spray top, both of these items are not expensive and can be found in any chandlery on the Island. We have discount arrangements with several chandlers for RVYC members, so once you are a full member we can let you know where to shop. We have different membership packages to suit everyone. We have a family membership, individual, joint adult, junior & cadet. All our fees shown here Club charges 2019-2020 10mar19.pdf (opens as a PDF) and you can download a membership form here Membership form 2018-19.pdf. Can I join any time of the year? Yes, we have no specific "joining period". You can join the Club at any time throughout the year. I don't know anyone that is a current RVYC member. The great news is we are a friendly bunch and welcome new members. The first time you come to the Club we will ensure you are introduced to our Commodore and Flag Officers . They will then introduce you to various other members at the Club. We have many members from varied backgrounds and professions, so there is bound to be someone you will have something in common with. Do I need any sailing qualifications to join? Not at all, we don't have any prerequisites for joining the Club. However If you are interested in doing some training we have informal Adult Sailing sessions to learn how to sail, and we also run RYA Powerboat 2 course so you will be able to drive RIBs unaided. Is the Club only open in the summer? Definitely not. The Club is open all year round, seven days a week in the summer and closed on Mondays in the winter. We have fantastic programmes for the cadets and adults right through the summer and winter. We have a carol concert at Christmas and various other events. Our Friday nights and Sunday lunches are always well attended even in the depth of winter! I am a serious racer, is RVYC for me? Absolutely! We have a full race programme that runs from March to December for all types of boats - from fast and slow handicaps to cruisers and everything in between. There is class racing for Lasers, Squibs, Optimists. cruisers, MOCRA and Scows. Our racing takes place in the Solent and starts from our unique race box on stilts. It is competitive, challenging and enjoyed by all. Do you have a try out or any open days so we can see what the Club is like before we join? If you would like to join us for a drink and talk to someone about the Club you are welcome to do that any time. Just call us on 01983 882325 or email office@rvyc.org.uk. We can arrange a time for you to come to the Club and see what it is all about. If you would like to try out sailing and find out what it is like to sail at the RVYC, just ask and we will arrange a taster session. I quite like the sound of the Club, but can I talk to someone before I join? Absolutely, we are more than happy to answer any questions you have either in person at the Club, over the phone on 01983 882325 or email office@rvyc.org.uk. What benefits does the Club offer?